Do I have to enter in an employee's salary information every time? No, once it has been entered in, salary information is automated monthly. These will be carried forward automatically from month to month unless manually edited should you wish to adjust an employee's salary moving forward for a raise or increment. 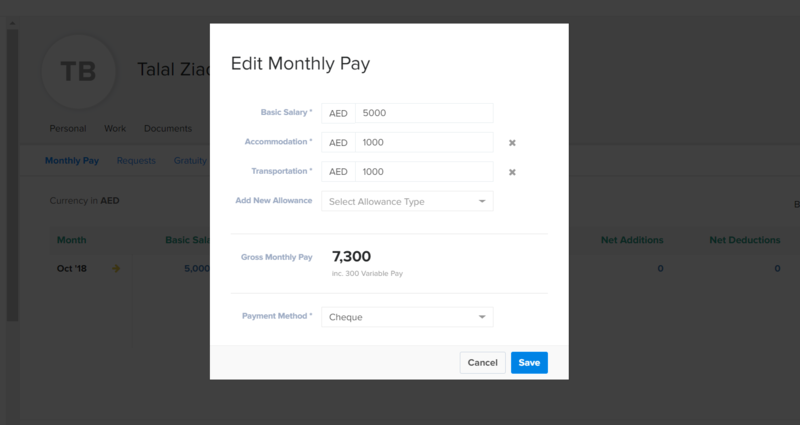 Any adjustments to variable pay can only be made manually for that particular month to be reflected in the payroll table.